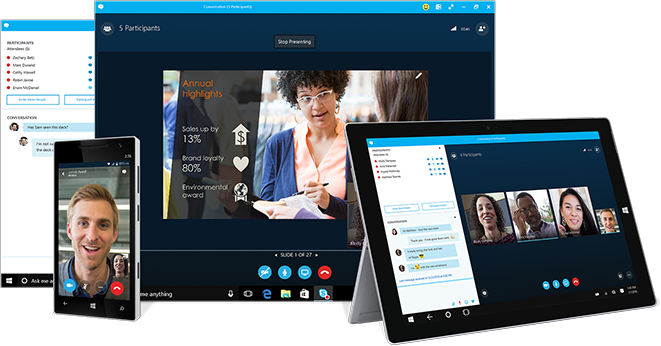 With one click, anyone can join your online meeting, from any device. You can choose to meet right away, or schedule from Outlook for later. The meeting URL is personalised just for you.